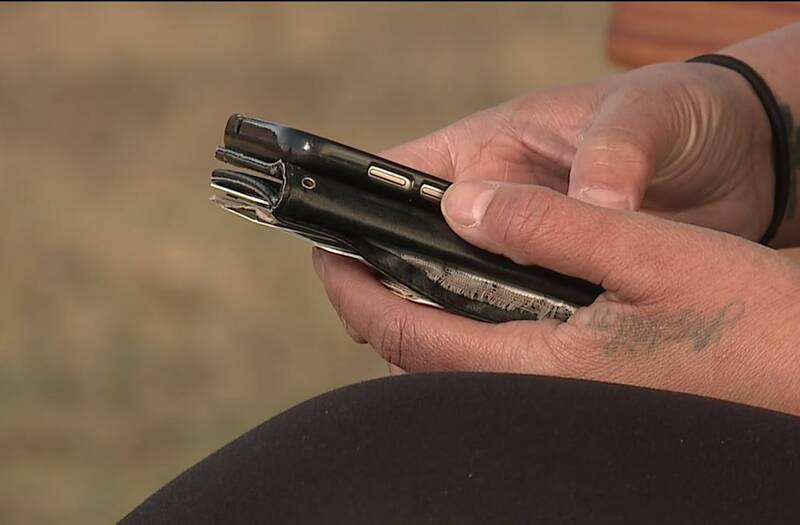 GREELEY, Colo. (KDVR) -- A mother said her daughter is now in a psychiatric ward after cyberbullies relentlessly attacked and eventually pushed her to the brink of suicide. Lucinda Mendoza said bullies started targeting her daughter, a high school freshman, at the beginning of the school year. Mendoza asked her daughter's name be used because she worries sharing her story will only make the bullying worse. Mendoza switched her 15-year-old daughter from Greeley West High School to Greeley Central High School in hopes of ending the bullying. However, Mendoza said that's when the bullies started attacking her online. "On Wednesday morning, my daughter messaged me and was like, 'I can't focus mom. I don't know what to do. I can't focus. I feel like I have no one. I say that whatever these girls are telling me, it doesn't bug me but it's killing me inside,'" said Mendoza. Mendoza said her daughter met with specialists, who decided she needed to be put under 72-hour surveillance at a psychiatric ward because she was contemplating suicide. In the meantime, her daughter's friends have sent Mendoza screenshots of the online bullying. "It crushed my heart. That's my daughter. I don't want her to feel that pain. I wish I could just take it from her and feel it for her," Mendoza said. Mendoza said she contacted Greeley West's school resource officer as well as school administrators but said they haven't been helpful. "At least give them a scare or do something. These kids are getting away with it because no one has been made an example of." A spokesman for the Greeley Police Department said bullying is a recognized concern not only for the school district, but also the school resource officer. The spokesman added the situation is being addressed with the district and the school resource officer. Theresa Myers, spokeswoman for Greeley-Evans School District 6, said protecting students from bullying is a priority for the district. "I can assure you that I went back through all the contacts that our administrators and staff had with this student and her family, and I am confident that they have taken steps to address their concerns," Myers said. "I know we have made offers to continue working with this family as late as [Wednesday]." Mendoza hopes sharing her daughter's experience with cyberbullying will remind parents that it's important to keep tabs on their children and their activity online. "I just want parents to be aware of what's going on, be involved with your kids. Don't give them privacy. Check their Facebook. Go to their school, see the kids they are hanging around with," Mendoza said. "All I can do is be there for her and do whatever I can to protect her."